6. which is more blessed? loving someone or being loved by someone? 8.if the person you secretly like is already attached, what would you do? curse dt person.hahha.jkjk.well juz go on wit ur life.someday u`ll find someone. 12. who is currently the most important to you? its still early.go back to sleep.hahaha.and yeah ofcourse i wuld sy dt im still alive! 18. would you forgive and forget no matter how horrible a thing that someone had done to you? Yeahh!no use u keep it soo loongg. 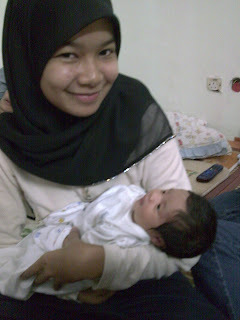 last nite i went to my cuzin's hauz to see my new babyborn niece!hee.comel2.i get to hold her. Went to ili's hauz.Dats all dt i cn remember. Went out with arwina and payal to celebrate payal's birthday.Im not into movie actuli,so i let payal decide on which movie to watch.So she chose Rogue.Never heard of that before.haha.pity me.Then,we went fr bowling.Gosh,the lane was soo freaking weird.haha.Wat i meant is dat d lane ws differnce frm d sunway's.The highest mark dat i managed to get ws 85.I was like "haaa..so teruk".I got frustrated and only played 2 games.Next,we go jalan2.I got back home around 6. Went to imigresen from 9am til 3pm.Had nuthing to do wit me actuli cuz i alredi had one.My mum wants to renew her passport i guessd n made a new passport fr my lil bros.
Damn,wat a hectic place.The government shuld turun padang and see how hectic and tiring on waiting just to make one bloody pasport fr our own.The people who worked at the counter were sooooooo sloww.What even worst ws,theres no aircond.Well actuli there is,but rosak.Haiyoo.Can u imagine,a small place packed with people like sardine in a can.Goshh.panas. Thursday was Fathihah's birthday!Happy Birthday!Love u weyhh.muahmuah. We planned to do a surprise party fr her at her house.So i hav to bring fathihah out to let them prepare all those stuff fr d party.Went to pyramid and go fr bowling and then go jalan2,makan2. We headed back around 3.30.Then,surprise!hepi birthday!hehe.Cam whored wit ili and fathihah.It was fun.Got back home around 6.45. Pictures will be upload as soon as i got it from affif.Soo stay tune.hahahaha. haha.I fainted fr the very first time of my life.I guessd.haha.I dont know if ive fainted before.heee.I dun actuli realize it.I was sleeping.and suddenly i bangun and hit my head on the wall.not on purpose.after i hit the wall then only i woke up frm my sleep.Damn,sgt sakit.I spent my whole day laying back on couch.Pening and sakit kepale. Ahhh...so its time fr me to post bout chong wei.heee.late post. medal.He was issued a cheque for RM300,000 as well as RM3,000 lifetime monthly allowances, and was conferred "Datuk". After a very tiring.stressful.hectic days of studying.exams finally over. This time,i aim to get an A or a B.The questions set was quite easy.but some were hard.but frankly speaking.the papers were not that bad. BM-tatabahasa part ws quite tough. BI-the only thng dt im scared of is pn.lucille.i need to brush up on my grammar laa.its getting worst. Agama-gosh.quite tough.tho d questions set were easy. Biology,Chemistry,Physics-designing exp ws much easier den structure quests. Hopefully this time i`ll get a better result den my midyear.Gaahh..im sleepy rite now.gtg. Lee Chong Wei steamrolls into final! Lee Chong Wei qualified to the final! He carved out victory over South Korean Lee Hyun-il in the semi-finals of the men's singles competition on Friday(today). Chong Wei will clash with Lin Dan of China in the final dis sunday. Chong Wei is the nation's last remaining hope in badminton and its strongest chance of winning its first gold in any sport.The other Malaysians all failed to shine. and2.my dad told me that RM1 million will be given if he win the gold and RM300,000 for silver. last week.before d exam week.my sista n i baked cupcakes!it ws fun. practically.i din prepare all d ingredients.evrythng ws done by my sista.even d dough.hehe.all i did ws putting d dough into d cups.hee..
well.d cupcakes din turn out as wat we expected.it turn out to be flat.haha.blame my sis!my mom said dt maybe d measurement is not accurate.haha.watevalaa kn.d cupcakes still sedapp tauuu!! and then.d week before dt.i cooked nasi goreng.n i compete wit my sis.hee..
my parents were d judges on dt day. my sis wanted to cook nasi goreng pattaya.but it din turn out as wt she expected.while i cooked some normal nasi goreng. then my mom said.becuz she put some chicken inside there.she got extra points fr dt.but hey.atleast i put onions n garlic.but then my mom said theres no mark fr dat.haih. but nvm.its ok.haha.we`re duing dis fr d sake of having fun. be gratefull as you are. Soo,last month.July 08.which i cnt remember d exact date.d whole class of 4 Amiga went to Pusat Jagaan Kanak-kanak Spastik as part of d moral projek.ok i noe.im a muslim.but then.there`s only 7 of us.i dun wanna be left out fr dis program.so d teacher incharged brought d whole class.yayy!fair enough. We reached at d pusat jagaan around 9+ and went back nearly 12.We reli do had fun playing wit d kids.They were so hyperactive.oh yeah.forgot to mention bout d kids.some of the kids were a slow learner.some were down-syndrome and some hv diffuculties in their movement.and yeah.back to their hyperactive-ness.whoaa.i ws laughing d whole time.trying to run n catch them.we went to padang.juz infront of d pusat jagaan.we`re running.playing hide n seek wit them. Then,it was time to go back.I cried.hahha.They were soo frenly n nice to me.and even to all of us.and they cried too. !oh yeah.before we go back.we gave them foods like sweets.biscuits.and some nutritional foods fr them.hehe. 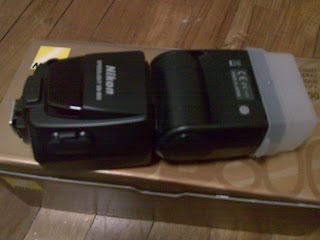 p/s:some of d pics i forgot to rotate it.hee.sorie yaa..
whoaa.i juz bought a new speedlight fr my camera.which i wanted so badly.and today i got it!yayy.alhamdulillah.thnk u papa fr d speedlight.appreciate it soo much.i promise u i`ll study hard and impresse u wit my result.inshallah.amin.so nahh.my speedlight.Nikon SB-800 speedlight.